What stirs your mind as archery comes into your vision? Certainly, a bow and an arrow. Some people even imagine a quiver clinging onto the archer’s back. 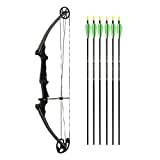 A bow and arrow is truly something that you’d need for practicing this enticing sport. Knowing how to measure draw length makes a difference on your accuracy when you’re shooting at a target. Let’s face it. Most beginners often ignore the importance of choosing the right bow and arrow. It is a common misconception that every bow and arrows are the same, but they are not. 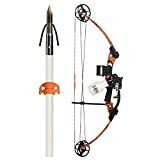 Choosing a proper bow and arrows can have a great impact on the accuracy of the archer. 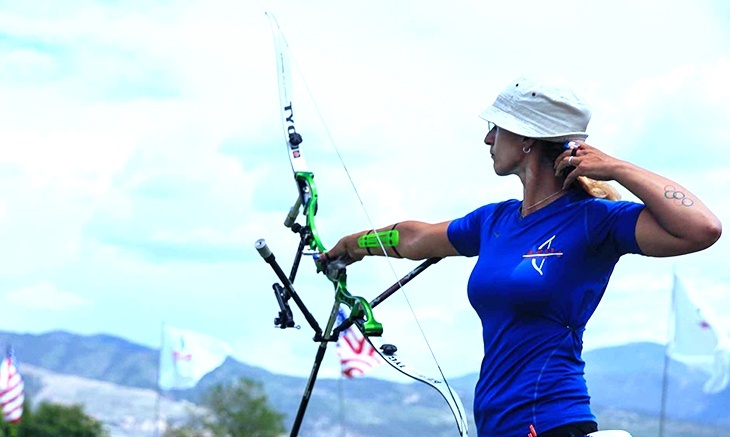 If the bow is slightly larger or smaller than what fits you, you may have to apply more pressure to pull the arrow. 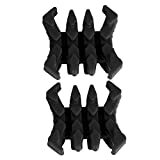 This might be strenuous and can reduce the flexibility of each shot. If you choose an arrow that is longer than your arm span, it might come into contact with your clothes and may hamper your shot. This is why you must know how to measure draw length so that you can choose the proper bow and arrow that fits you. What is a draw length? The modern bows are designed in such a way that these can’t be drawn further after a certain distance. The distance that the archer pulls the string of the bow before it stops is known as the bow’s draw length. After the bow length is reached, the string can’t be pulled any further, so any try to further pull the string is a futile effort. How to measure the bow draw length? Although knowing the proper bow draw length is a fundamental concept, many people just don’t know how to measure draw length and end up using a lot of effort pulling the bow. Measuring the draw length is very easy, and you can do it all by yourself. To let you get a better understanding of how to measure draw length of the bow, we’ve come up with a step by step guide for measuring your draw length accurately. Find a wall that you can use for measuring your draw length. You can use any wall as long as you can mark two points on it. The next step should be putting a marker on the middle fingers of your hands. You can use ink, pencil, sticky notes or anything else as long as you can accurately mark the length of your arms. You can also use a measuring tape and a friend to do this. Now, move closer to the wall with your head facing towards the wall. Slowly stretch your arms to get the accurate length of your arm span. Make sure that you are not overstretching the arms. Keep them straight and relaxed. With the tips of your middle fingers, mark the length of your arms. As mentioned earlier, don’t overstretch. If you’re taking the help of a friend, make sure that they measure the length of your arm from the tip of one middle finger to the other. You must repeat the four steps twice or thrice to get accurate results. After you’ve found out your arm span, the next process is very simple. Note down the length and divide the number by 2.5. This is your draw length. If this number comes in a decimal form, you can round it off to the nearest whole number. Choose a bow that has the same draw length as yours. You can also determine the draw length of the bow using your height. The picture shows the draw lengths that you should choose according to your height. When choosing your bow, you must also consider the draw weight of the bow. It is essentially the amount of force that is needed to pull the string up to the draw length. Knowing the draw weight will make the bow drawing a lot easier. If you choose a bow with a larger bow weight, you’ll need more force to pull it. If you choose a bow with smaller bow weight, you’ll need less force to pull, and you’ll still have scope to increase the speed of the arrow. If you’re very strong, you can use a bow with higher draw weight. If you’re using a rangefinder, you should know how to sight in a bow properly. Archery can be a fascinating outdoor sport. It is one of the easiest ones as well. However, many people just don’t understand how to draw a bow properly and end up using a lot of effort while doing so. The fundamentals of a bow should be providing comfort to the archer when he/she takes a shot. Knowing the draw length of the bow is something that all archers should know to make their bow drawing experience a lot better. 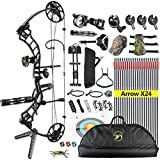 If they choose a bow with a higher or lower draw length, they’ll have to exert much energy to pull the string, and it can reduce the accuracy of their shots. Knowing how to measure draw length of a bow is very easy. You’ll just need to find a wall, stretch your hands and measure the length of your arms. Then by dividing the arm span by 2.5, you’ll be able to get the accurate draw length. Official bow of the National Archery in the Schools Program (NASP). 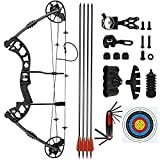 Great starter bow for archers of all ages, sizes and athletic abilities. With no specific draw length requirement, kids can't outgrow this bow. 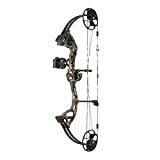 Includes a machined 6061-T6 aluminum riser, aluminum cam and idler wheel, sturdy composite limbs and high-strength bowstrings - all made in the USA. Built with single-cam technology, there are no tuning issues, less recoil, less noise and more accurate shooting. 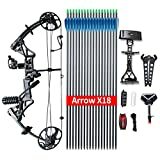 Kit includes: Bow, belt tube quiver, adjustable arm guard, five (5) aluminum arrows, 3/16" hex wrench and an Owner's Manual. 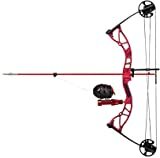 Great starter bow for archers of all ages, sizes and athletic abilities. With no specific draw length requirement, kids can't outgrow this bow.